For all who watched S4, you would know about Legion. 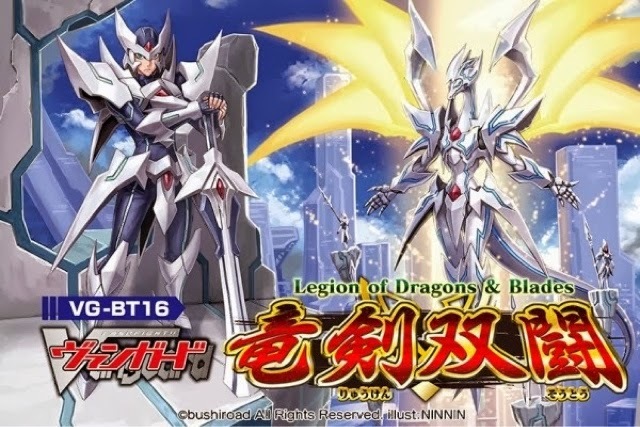 Legion is a new mechanic in Vanguard, released by Bushiroad in BT16. It is an ACT ability to return 4 cards from your drop zone to your deck, search for a specified "mate" and perform Legion. The Legion Mate is usually a Grade 2, placed on the left of the Grade 3 unit. Shadow Paladin: Revenger, Phantom Blaster "Abyss" + Revenger, Blaster Dark "Abyss"
This is just a list of Legion cards that have already been released by Bushiroad. If your favourite clan doesn't have a Legion unit yet, fret not, because more Legion cards are coming your way in the upcoming boosters. Angel Feather Celestial Anime Matsuri Legion!